Home Movie FROZEN 2 will not appear soon, Do not be sad! FROZEN 2 will not appear soon, Do not be sad! For fans of the Disney animated film that really booming in 2014, must have been quite disappointed to hear this news. 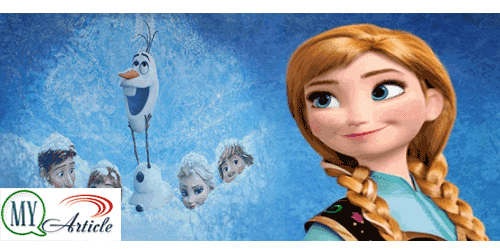 After the event the 2015 Oscars last February, will be working on a sequel rumors about FROZEN sticking in the media. Unfortunately, FROZEN 2 will not be back in the near future as it heralded. Directed by Jennifer Lee and Chris Buck said if all of this is the fault of the media exaggerate these rumors. Obviously, anyone who does not want FROZEN 2 immediately returned. He became animated film most talked about last year and became the largest source of income for Disney. Once again this great directing duo explains that FROZEN 2 will not come out in the near future. Only a short film just released today, FROZEN FEVER. They also said that if they take after receiving outstanding awards last year. FROZEN won Best Animated Feature Film at the Oscars 2014. The song became theme song almost all children last year, Let It Go which brought Idina Menzel, also won Best Original Song. Even the popularity of Idina Menzel is considered capable of defeating Princess Elsa, the main character, because his voice is very cool. However, this rumor is not entirely wrong media. Idina Menzel also worth 'blame'. After attending the Oscars in 2015, Idina FROZEN 2 states that are in the works. Immediately, his statement is spread all over the media and caused a stir fans FROZEN. Do not be disappointed once, to treat longing to Princess Anna, Elsa, and Olaf, today's short film titled FROZEN FROZEN FEVER has been officially released, you know. Hurry to watch, not to be missed.